Storytelling is again a topic of interest in the business communications world. Conferences and speakers around the world are praising the power of storytelling and attracting audiences. My question is, why? Humans have told stories since our earliest beginnings. We all tell stories. It was part of our survival and development. Stories are all around us, from campfires to multimillion dollar movies, so why do we have to make a case for it in a business environment? Generally, I think the answer is fear. We are afraid to “lay an egg”, reveal too much of ourselves, show too much emotion or not be taken seriously at work. After all, work is the activity in which most of us invest most of our waking hours so there’s a lot at stake. This two-part blog post covers five things we learned when preparing a seminar about storytelling in business. Our storytelling seminar gives participants the skills and determination to tell more stories and better stories in the workplace. What does your listener want? Telling bedtime stories to children is a practical example of the standards adults have for stories as well, though many may not say it. Children will demand expressions of the energy of the characters, the emotion of the plot and telling the story “like you mean it”. Adults need these things too to be engaged. As Aristotle observed, a good story starts with a character in trouble. The character is one the audience can identify with–not too good to be in trouble and not too bad to deserve the trouble to come. The story progresses with the development and deepening of the trouble to create a sense of fear in the audience so the resolution of the problems leaves the audience with a sense of relief. Aristotle referred to the stages as pity, fear, and catharsis. Stories from Greek tragedy to Toy Story follow this model in one way or another. In the workplace we can tell stories about problems, consequences and solutions to reflect Aristotle’s model. The STAR Model is a basic and effective format for telling stories in a business environment. The model fits the needs of business audiences as it sets the scene, describes the action in it and talks about what happened to resolve the situation. This model is very effective in behavioral interviewing, answering questions about past performance and offering a status update. Situation – clearly explain the facts and assumptions that make up the context of the action. Task – detail the task to be completed or the goal to be reached. Actions taken – describe all relevant actions taken to complete the task. Results achieved – describe the immediate outputs and eventual outcomes of the actions taken. Make sure to check our site for part 2 next Wednesday. 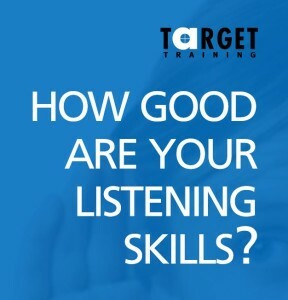 See how Target Training provides skill development seminars about Storytelling and many other communication skills to increase your effectiveness in the workplace. Let us know if you have any comments on the first three lessons below. Effective meetings can be tough to manage when everyone is on time. What about when someone is always late for meetings? Everyone in an organization knows that lateness can be a problem, but the topic of what to do if someone is consistently late for meetings is rarely discussed. Here, the key word is consistently. Everyone can be late at one time or another, but it’s when someone is predictably, consistently late that problems begin to pile up. Before we get to the questions you should ask your chronically late colleague, let’s take a look at the questions you shouldn’t ask. Did you forget how to tell time? Time management strategies don’t include learning how to tell time or buying a better watch. Experts in the field agree that if someone is consistently late for meetings, it’s their attitude that’s to blame. Changing time habits in relation to meetings means changing the colleague’s mindset, incentivizing being on time and not punishing colleagues for being on time. Yes, you read that right. Very often, meetings are postponed to wait for late colleagues, effectively punishing those who come on time. 1. Do you think you have a clearly-defined role in this meeting? A clear role means having a specifically-defined function in the meeting. Some examples of roles: moderator, organizer, minute-taker, timekeeper and participant. Participant is the generic name for anyone at a meeting, but a participant has responsibilities at the meeting as well and should be held accountable for fulfilling them. Examples of the responsibilities of a meeting participant are: being active in brainstorming sessions, contributing to discussions and helping create the agenda for future meetings. 2. You’re going to keep the minutes for the next meeting, right? Keeping and distributing the meeting minutes isn’t exactly the most glamorous or enjoyable task. One way of encouraging participants to come on time might be to give them a small penalty (for example, maybe they have to keep and distribute the minutes for the next meeting, make a small donation to a charity or supply coffee for everyone at the next meeting). Naturally, the penalties should be light-hearted, but the cause should be taken seriously. 3. Do you have any feedback about the quality of this meeting? Being on time is important, but lateness can sometimes be a symptom of dissatisfaction with the meeting itself. If your colleague lacks a clear role, feels that their voice isn’t heard in the meeting or finds the meeting pointless, it can lead to carelessness regarding the ground rules your meeting participants agreed on (one of which should definitely be: we start and end on time). You ensure all colleagues have a clearly-defined role in the meeting. You ensure that chronically late arrivals are punished for their tardiness, not the other way around. You accept responsibility for the quality of your meeting and give the participants a chance to give feedback. An anonymous feedback form made available on the company intranet might be one way of allowing colleagues to give constructive feedback in a comfortable manner. As we can see, being late for meetings can be an indication that someone has a broken watch, but it can also be a reflection on the quality of your meeting in general. Taking a moment to reflect on the underlying reasons behind a behavior can be a chance to make sure your meeting is running as efficiently as possible. A good presentation conclusion is a very important part of any presentation, and often not given as much attention as it should. Many people focus on starting strong with a good introduction, and then delivering good content. There is nothing wrong with this as long as they finish with the same strength with which they started. Many times I have seen presentations end awkwardly, which can leave a bad taste in the audience’s mouth. A good presentation conclusion will have an effective summary, recommendation or call to action, and an opportunity to address any open issues through questions. A part of a presentation conclusion that often gets forgotten is a clear and effective “signal to the end”. A signal to the end is a one sentence phrase that is designed to show your audience that you are going to start your presentation conclusion. It should be said right before you get into your summary, and should act as a clear sign to your audience. Wake up the audience. Many times the audience loses focus and is daydreaming towards the end of the presentation. This shows them that things are ending soon, and it is time to pay attention again. Reset your own focus. Sometimes it is easy to go so in-depth on topics we know well that we lose focus on what our audience wants to hear. The signal to the end not only wakes up the audience, but the speaker as well and allows them to deliver a strong presentation conclusion. Clarify your structure. Presentations need clear structure so that the audience can focus on key points and follow along. When you use effective transitional phrases such as a signal to the end, it creates clarity in your structure and helps the audience stay with you. Get your points across a final time. At the end of a good presentation, you will have mentioned your main points in your introduction, your body, and finally in your conclusion summary. A good signal to the end focuses the audience’s attention one last time, so that you can mention your main points again as well as your recommendation. People tend to remember what they hear at the end of a presentation more than at the beginning or middle. Set yourself up to finish strong. By clearly defining you are starting your conclusion, it will help you focus and go through the correct steps in your conclusion. This will leave your audience with a favorable impression of your speech. Be a better public speaker. So many people give poorly structured presentations, and especially end their presentations on a low note. 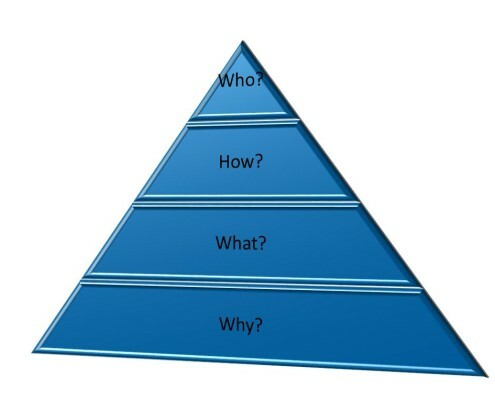 Having a clear structure will help you to look more professional and get the results you want out of your presentation. Having a strong presentation conclusion will leave your audience with a focused, positive view of your message and a good signal to the end is key to starting it well. Let us know of any ideas you have in the comment areas below. Want more on presenting with impact? Click here.